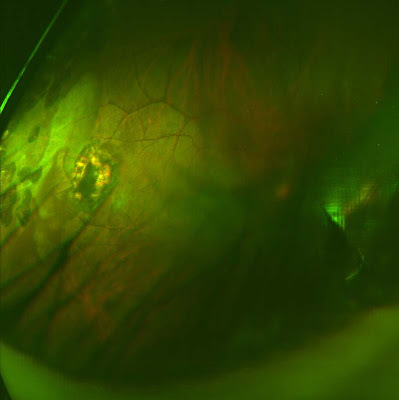 This is the inside of my right eye post retinal detachment surgery. For those of you who don't know, I had major eye surgery back in 2006. Post surgery, my right eye formed a dense cataract. I can barely see out of one of my eyes. On top of that, I have terrible nearsighted vision, astigmatism, floaters, and squinty eyes. such irony for a visual artist, am I right? !